Summary: If you want uncompromised tone this is the one for you. It’s not often that something truly special comes along. 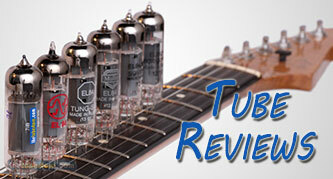 The Northern Electric 12AX7 is brand new and exclusive to thetubestore. This is not something that came along overnight. We have been developing and testing this product for almost 2 years to ensure that you will be buying a product that stands up against anything on the market, new or old. To do this we have traveled to the manufacturer to observe production and quality control methods, and obtain pre-release samples that have been in the field for over a year now. Our hard work and close relationship with the manufacturer have paid off. Samples have been tested in our audio reference equipment and in the amplifiers of working musicians that have logged many hours and many miles. It’s the feedback from these testers that tell the tale. No failures of any kind have occurred under the most demanding conditions and, in round table discussions and blind testing in the studio, players consistently preferred the Northern Electric over any pre-amp tube we currently offer. 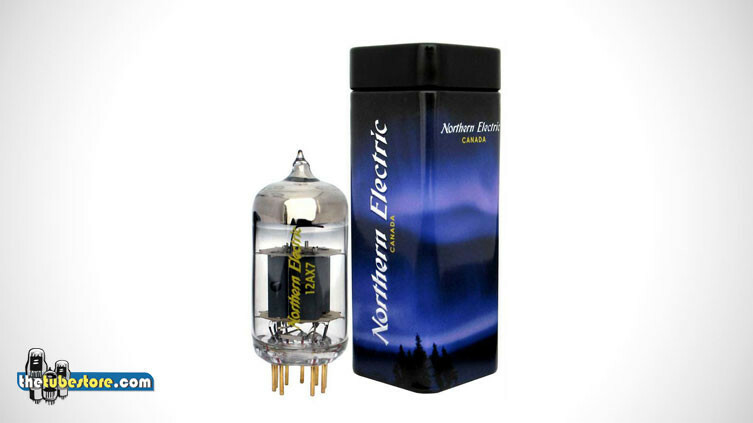 The Northern Electric 12AX7 is made with the highest quality materials. From the glass bottle to the gold plated pins, everything is designed to give you unsurpassed audio quality. This tube has very large smooth plates. This design is much like a Telefunken smooth plate but a bit shorter. This design provides plenty of gain while maintaining an extremely low noise floor. Like any large plate tube, tapping on the bottle with the volume turned up will generate some mechanical noise, but the Northern Electric is not in any way prone to microphonics. It has been torture tested in a JTM 45, a Deluxe Reverb, an Orange 50 watt combo and Bandmaster Reverb, with no failures or noise problems after hundreds of hours in clubs or in the studio. It doesn’t matter if you use an American or British design, this tube works. In our listening tests it was easy to hear that the tube did not change the voice of the amplifier as some pre-amps do. The Northern Electric enhances the sound across the entire spectrum. Our testers have reported no noticeable spikes or weakness in the lows, mids, or high end. The highs are very smooth with a balanced midrange response and warm, full bottom end. If you notice any frequency anomalies you should have a look at your speaker of choice as that is likely where the problem is. As you drive your guitar amp harder you will notice that this tube is passing both the fundamental note and beautiful spectrum of harmonics to the power amp. The resulting overdriven signal is warm and complex but never gets confused or mushy sounding. It is absolutely the best 12AX7 that we can offer you. At $59.95 it is not cheap, but if you want uncompromised tone this is the one for you. What position would these be best suited ? I have an orange or15 head. Thanks in advance. I would only use them in V1 where their voicing will be best heard.